Hi! It’s me—Grace. My author is sleeping in, so she left me in charge. In the icy, monster-plagued world of the Frost, one wrong move and a person could end up dead—and Lia Weaver knows this better than anyone. After monsters kill her parents, she must keep the family farm running despite the freezing cold and threat of monster attacks or risk losing her siblings to reassignment by the village Elders. With dangers on all sides and failure just one wrong step away, she can’t afford to let her emotions lead her astray. So when her sister finds a fugitive bleeding to death in the forest—a young stranger named Gabe—Lia surprises herself and does the unthinkable. That sounds pretty incredible to me, Kate, which means your Muse must be doing a great job inspiring you. What’s the next project they’re helping you out on? Well, let’s see. 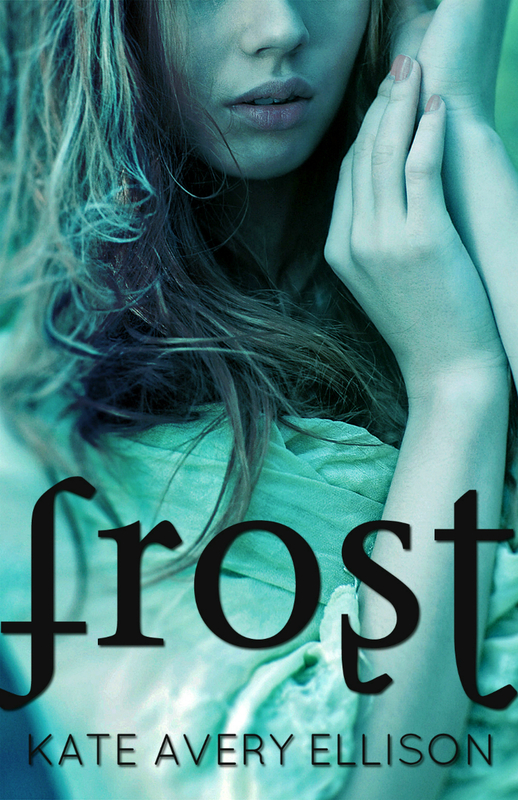 I just released a new YA fantasy/dystopian, Frost, featuring some a snowy world, monsters, and a forbidden romance. It’s the first book in a series called The Frost Chronicles, and I’m already hard at work on the sequel, Thorns. I’m also working on a novelette/novella that could be described as “a paranormal retelling of Robin Hood.” And of course, I have a zillion other projects on the back burner. A zillion? Are you sure? Because that’s a heck of a big number. And if it’s an exaggeration, then which of your characters are you most like? Tough question! I am a little bit like Bee from my novel The Curse Girl because we both like to talk things through and find a logical, workable solution to problems. I’m also a little bit like Ivy, a secondary character from my newest novel Frost, because we’re both daydreamers who get into trouble for not paying attention. What did you say? Oh, yeah…daydreaming. Been there, done that. When you’re not daydreaming, do you like to read, and, if so, what’s your favorite book of all time? Another tough question! I don’t think I could narrow it down that far, to be honest, but one of my favorite YA fantasy novels of all time is The King of Attolia by Megan Whalen Turner. The Blue Sword by Robin McKinley is a close second. Sorry about these tough questions and I haven’t got a clue who came up with them. It definitely wasn’t me—but I wrote this one! In your opinion what makes a guy character swoony-worthy? I like smart guys–geeks, nerds, or just plain intellectual types. Nothing turns me on more than a guy with wit and intelligence. Of course I’m also a sucker for dark, wavy hair and a smirking, Han Solo-esque smile. Taylor Mitchell. She was so young when she died, and her death was so tragic (eaten by coyotes! )… I kinda feel like she needs another chance to perform. Okay…confession time. What’s your biggest writing sin? Ha! Love that. And your answer makes me think I already know the answer to the next question–are you more of a rule follower or a rebel? Why? I’m definitely more of a rule follower. It’s partly the way I was raised, partly my personality. But at the same time, I’m one of those envelope-pushing, out-of-the-box thinkers who likes the challenge the status quo. So I chafe at the rules and petition to change them while following them, I guess you could say. Okay, what — other than your Muse, of course — inspires you? Odd and unexpected combinations of people or story elements that end up working–like the whole Abraham Lincoln, Vampire Hunter thing. Unexpected or unconventional situations inspire me to see how I can build a story around them. I’m definitely a fan of unconventional. Like, did you know I skipped school and went straight to Earth? Hmmm….but enough about me. I really would like to know about what themes you write about or what you want readers to take from your books. I find myself drawn to themes of trust, betrayal, and adversaries-turned-friends (or lovers). I’m sure there are all kinds of deep, psychological reasons why I am fascinated with these subjects. I think one of my strongest “messages” that I want people get from my books is the idea that people can grow and change, jerks can learn compassion, timid shy people can find courage. Don’t ever write someone off forever just because they don’t click with you immediately. They might turn out to be your best friend. I also ALWAYS want to communicate the idea that love is powerful, redeeming, and worth everything you risk for it. Aww…I really love those themes. Now, last question. Is there anything you’d like me to mention to your Guardian Angel? I can do it all casual, if you want. The treadmill desk sounds awesome. Consider your request passed along. In addition to the treadmill desk, doesn’t Kate’s new book Frost sound awesome? You can buy it practically everywhere. April 16, 2012. Tags: author interview, confessions., Curse Girl, Frost, Kate Avery Ellison, Shel Delisle, The Blue Sword, The King of Attolia, Winging It! guardian angel. author interviews.